This truck is sweet - With 37" Nitto Trail Grapplers, wrapped around 20" KMC XD Wheels & topped off with a Full Suspension Lift Kit by BDS Suspension! Moving efficiently now & for the future of this build, which I am CERTAIN will not stop here! 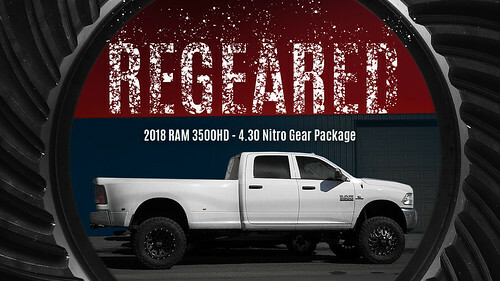 Nitro Regeared is an ongoing series of short videos featuring some of the popular vehicles we regear and the benefits in doing so. Last edited by justdifferentials; 03-21-2019 at 12:21 PM.